We have had a great time here in Chile so far. The weather is wonderful, the company is fantastic, and we have been able to have some very important discussions. We spent yesterday at the UBACH (Chilean Baptist Union) headquarters and had a quick tour of the Seminary. We are really feeling refreshed. 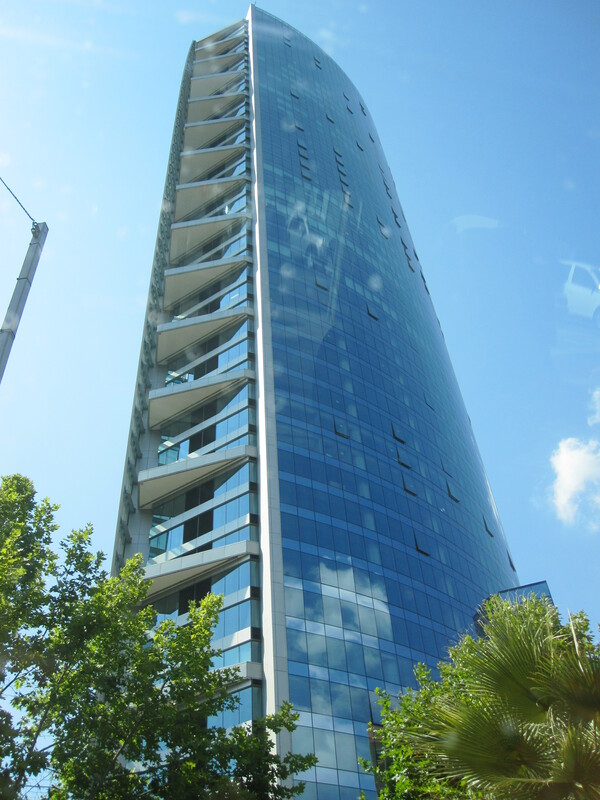 This is the tallest building in Latin America. I feel that we are really going to experience a great change in scenery, lifestyle, and really everything. 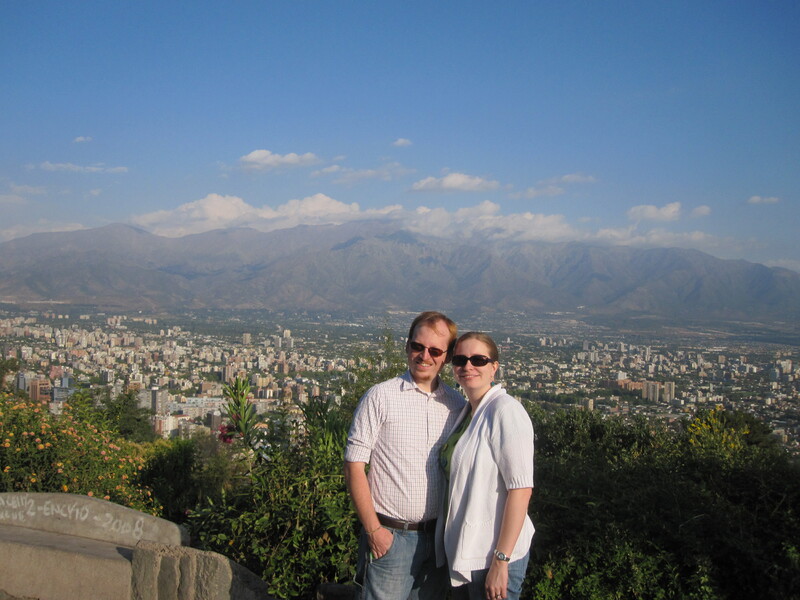 Santiago is one of the most advanced cities in the Americas, North and South. They have an underground railway called the metro. They have the tallest building in South America with the soon to be tallest building being built next door (nothing like some friendly competition!). We’ve seen countless Starbucks, nice restaurants (including places like TGI Fridays, and Ruby Tuesdays as well as local places), and smooth roads with drivers who mostly stay in between the lines. Even their parking garages have lights over each parking space, red letting you know it is full and green that it is vacant, as well as signs at the end of each lane telling you how many empty spaces are down that aisle (I think this has been Bekah’s favorite part!). It will be interesting to see, in relation to Santiago, what Arica is like. It sits in an area known as the zona franca. That means that the region is so poor that the government has instituted a duty-free area to try to stimulate the economy and to get goods to the people at prices they can afford. When we are in Ticnamar (which we have learned is pronounced with emphasis on the first ‘a’) we will see what it is like to have unreliable electricity, no communications, no stores, no gas stations, and scarce, if any, clean water. It appears that the line between the haves and the have-nots will be clearly seen, but I have no doubt that the people in Arica will be just as warm and receptive as the people are here in Santiago. And as we have been told over and over, we will be in the Latin America that we know, that we are familiar with, and that we are called to serve. I am glad you are having a good visit. Raquel is a great host! We are praying for all of you. So I’m guessing you might not be able to keep up with your blogging when you get out of the city. I love hearing what Santiago is like! It does sound so advanced, especially the parking spots! That’s cool!